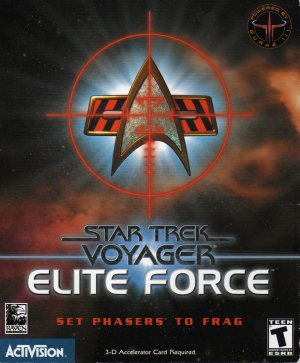 Within the Star Trek universe,Star Trek Voyager: Elite Force is associated with the fourth Star Trek television series, Voyager. Players control Ensign Alex Munro, a member of the Hazard Team, a new security division assembled to contend with perilous missions. Elite Force’s primary plot focuses on the Hazard Team’s efforts to fend off hostile attacks on a heavily damaged USS Voyager, currently grounded in a ship graveyard.